The annual Capitol Hill Block Party is a supreme way to spend some of the most beautiful summer days in Seattle. Sensebellum brings to the table a unique mix of projection mapping, custom 3D visual content, live video mixing, and integration of real time video beamed from the main stage and onto the urban architecture in precise and mind blowing ways. This all comes to life for 3 days on multiple buildings and multiple stories surrounding the main stage. 15,000 people all gather to listen and see the action. However, the streets make for a long corridor that strains visibility after some distance. 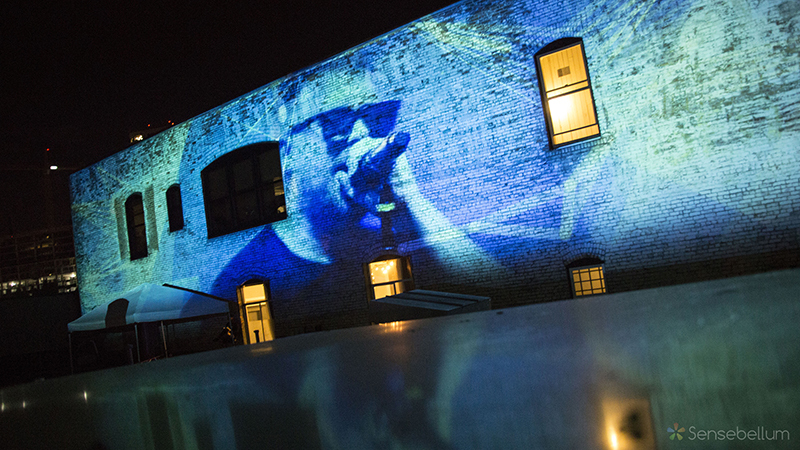 By leveraging the projection mapping and live video we can create a new way to visually enjoy the concert even if you are a 1/4 mile away, in the beer garden, or just relaxing outside of the main pit. Either way, it is always a hit and it is a great time working with such a professional team to provide a useful mix of what it is we do best. Read the full write up on the CHBP project in the portfolio here.